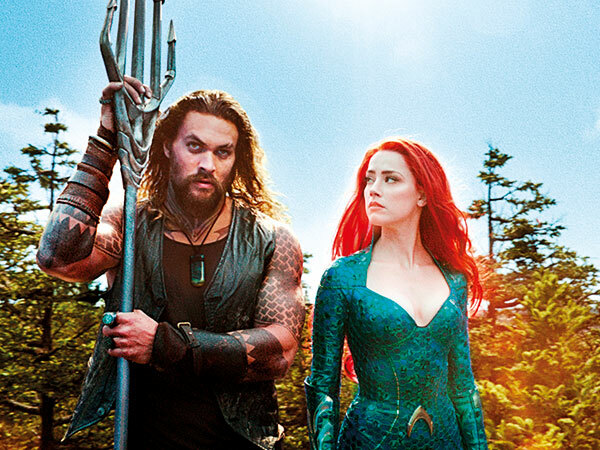 Warner Bros. Pictures’ ‘Aquaman’ has crossed the $1 billion (Dh3.67 billion) mark with its worldwide box office collections over one month since it reigned supreme in its first market, China. The announcement was made by Ron Sanders, president of worldwide distribution at Warner Bros. Pictures Group and Warner Bros Home Entertainment, read a statement. “We’re thrilled audiences around the world have embraced ‘Aquaman’ in such a big, big way. Jason, the filmmakers and the team at DC have delivered a film that people love, and we are so appreciative of their support,” Sanders said. “Firstly, massive love and thank you to the fans and audiences around the world. Humbled by the way you’ve embraced ‘Aquaman’ and how it has resonated on a global scale. I’ll forever be indebted to Jason for turning Aquaman into one of the coolest, cinematic Super Heroes ever, and becoming the gold standard for this character for generations to come,” director Wan. The film tells the origin story of the half-surface dweller, half-Atlantean Arthur Curry that takes him on the journey of his lifetime — one that will not only force him to face who he really is, but to discover if he is worthy of who he was born to be…a king. The action-packed adventure spans the vast, visually breathtaking underwater world of the seven seas, and stars Jason Momoa in the title role. ‘Aquaman’ has been released in 3D and 2D and IMAX, and is distributed worldwide by Warner Bros. Pictures.